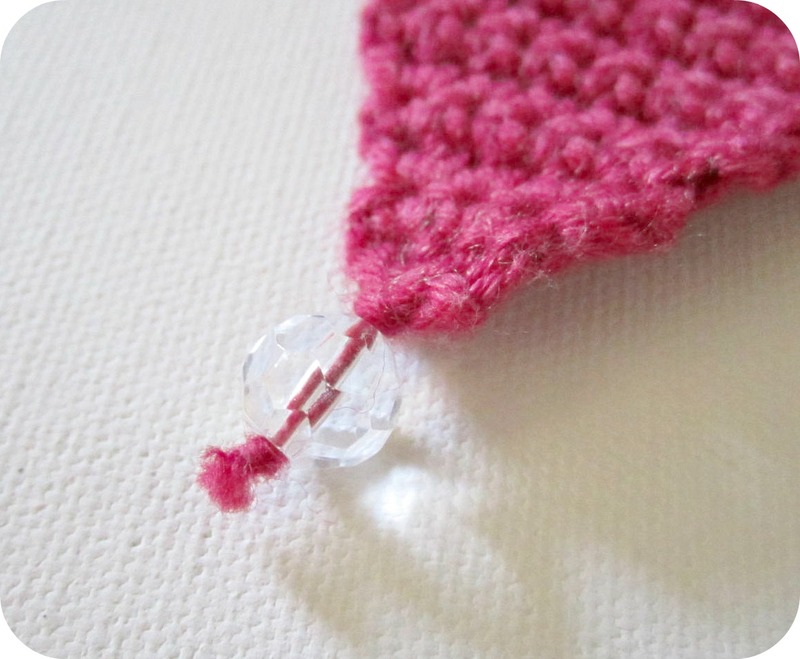 I'm using a 4mm hook and double knit weight yarn. Row 2. Work two dc into the second chain from the hook (ie. the first chain you made). Row 3. Turn your work. Ch 1. Dc twice into each of the two stitches. 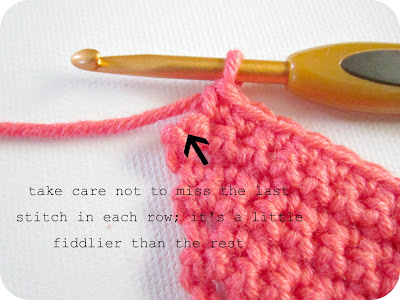 You should now have four dc stitches in your row. And so on! Continue working two dcs in the first stitch of each row and one in each of the rest. Keep going until you are happy with the size of your triangle. 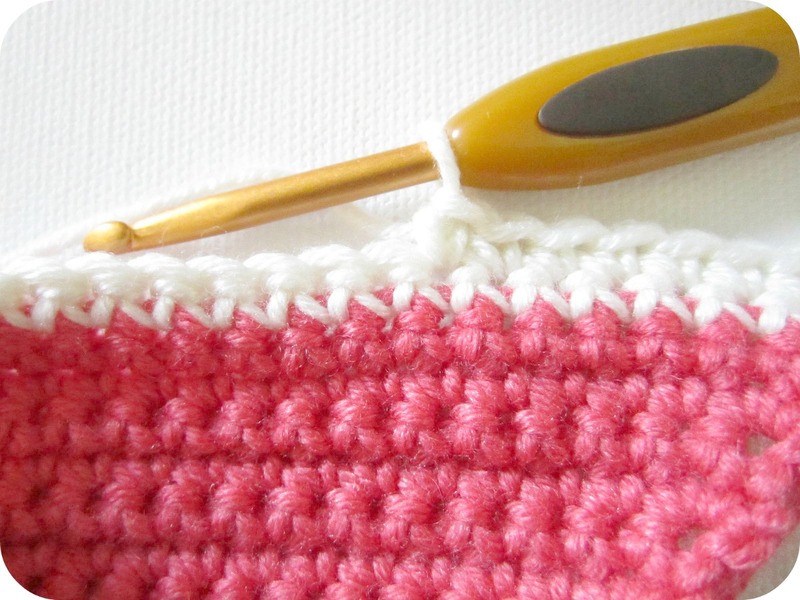 My last row had 24 stitches in it (23 rows) which has given me approximately 4.5" long triangles. Fasten off and sew in the end of the yarn. 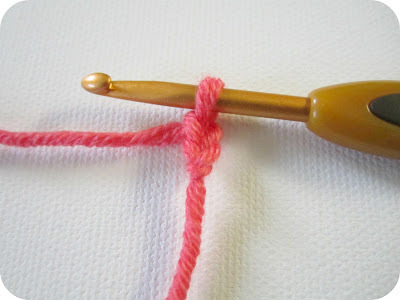 You can do the same with the original end of the yarn (at the bottom) or, do what I did, and thread it through a glass bead before knotting and cutting. I recommend blocking your triangles before you join them together. To join your bunting triangles together, select your choice of yarn. I chose cream. 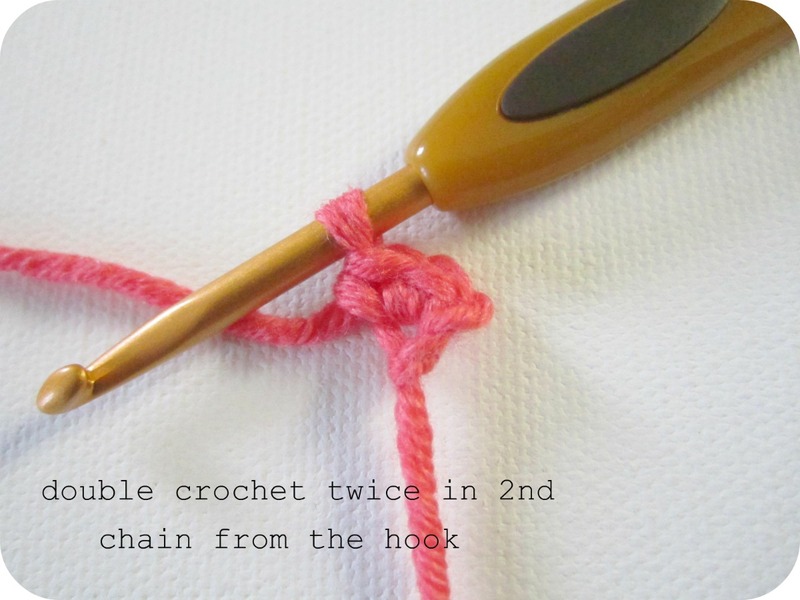 Chain 30 (or more if you want a longer tie) and then, right side of your triangle facing you, carefully double crochet along the top. Carry on chaining (I chained 6 in between each triangle) and dc-ing along the tops of all your triangles and then chain an additional 30 for the other end of the tie. Turn your work, chain 1 and then dc your way all the way back along both the chains (bit tricky so do take your time) and dcs. You can now string up your rainbow of loveliness and sit back and admire or embellish it further with little flowers or even lettering. I got so much help from other people's tutorials (especially those with lots of pictures) when I was teaching myself to crochet and still do. I just hope this goes some way to help you too. If you notice any glaring errors or omissions, or have any questions, do get in touch. Please! Despite it being quite hard work, I have the tutorial bug now (it's the bossy boots in me!) so, hopefully, this will be the first of a few. For now, happy hooking my friends. PS. I used Sublime Baby Cashmere Merino Silk dk yarn. PPS. 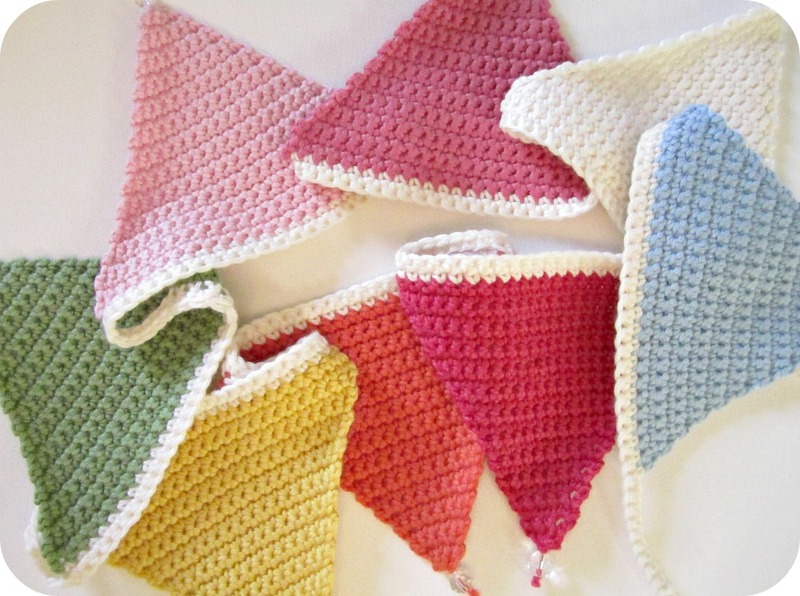 If your bunting is reluctant to lie flat, try blocking it face down and/or a liberal waft of spray starch or strong hairspray. 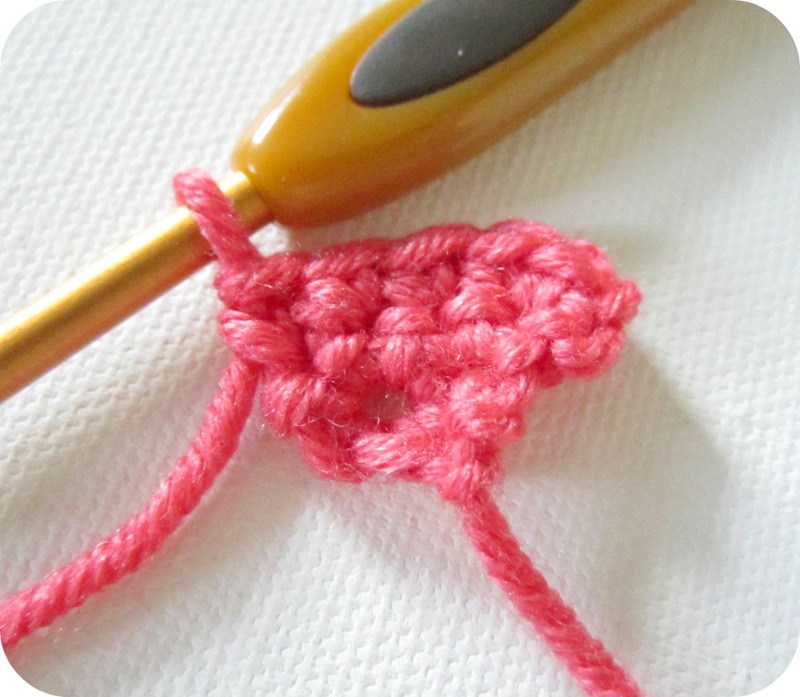 I think I need a pre-tutorial on how to crochet! Bunting looks lovely just wish I knew how. Excellent easy to follow tutorial, I will attempt some of these this year they are adorable! 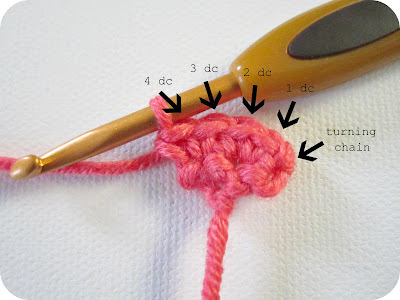 Fab tute, might have a go at this even though I am a bit scared of crochet! Think I might give this a go - thanks! 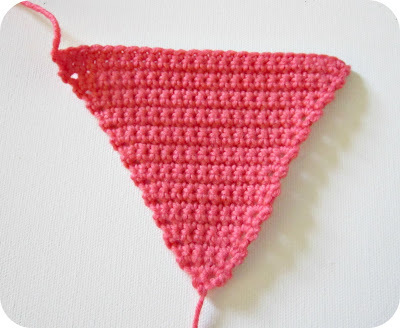 i only started crocheting last year and my friend started me off on a dishcloth, well somehow i made a triangle! so i should be good at bunting! Hi there, I love the crochet bunting! I can do this (I only know two stitches!) sc and dc. 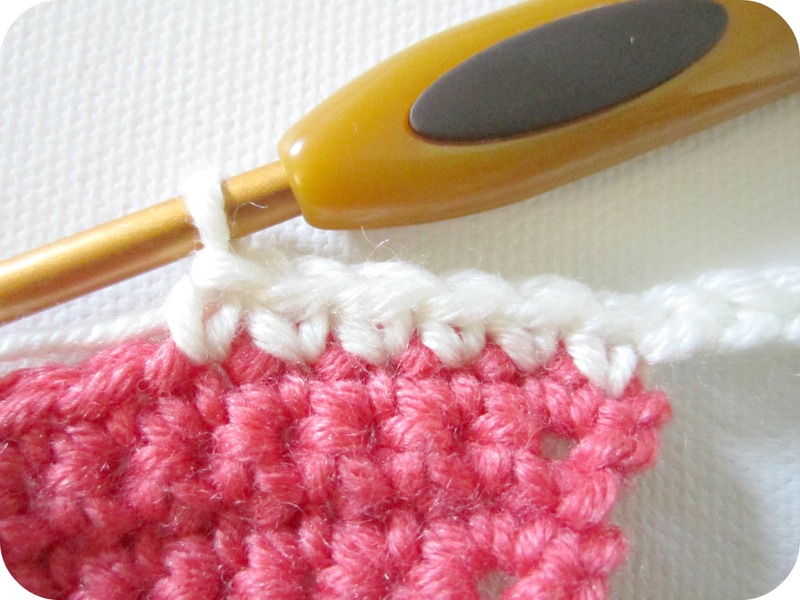 oh, and chain stitch! This is absolutely perfect! Thank you so much for taking the time to post such clear instructions for newbie crochet fans such as myself! I wish you a beautiful Sunday filled with colour. 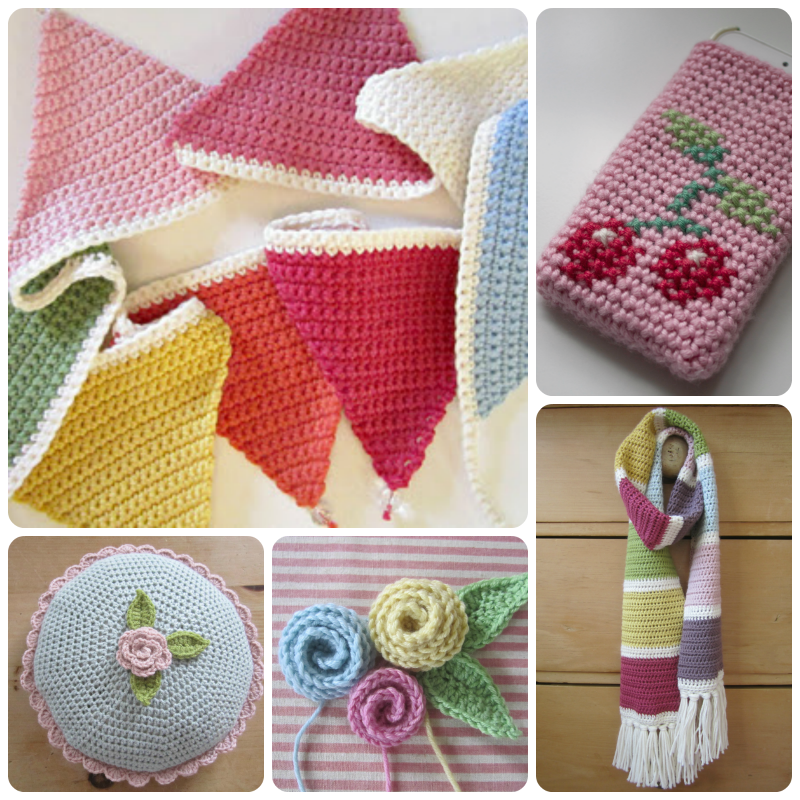 I just found your blog today and I love all the lovely crochet things you´ve made! I added you to my bloglist, hope that is ok! Please stop by "at my place" when you have the time! 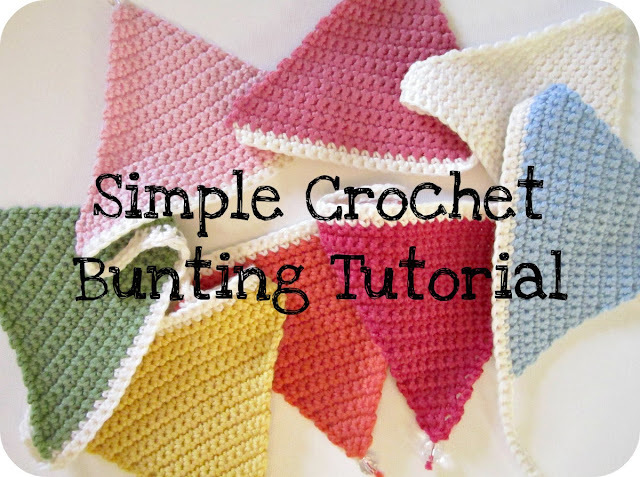 this is so charming, i love these colours :) your tutorial looks great, it almost makes me tempted to try but i'm sure i'd still tie myself up in knots! Your bunting looks fabulous. How do you make the flower? Just wanted to let you know that this tutorial was featured on my blog today. Thank you very much! I am making a bunting as a stash buster, some have stripes, its so cute! Its for decoration for my daughters 3rd birthday and later to be hung in her room. 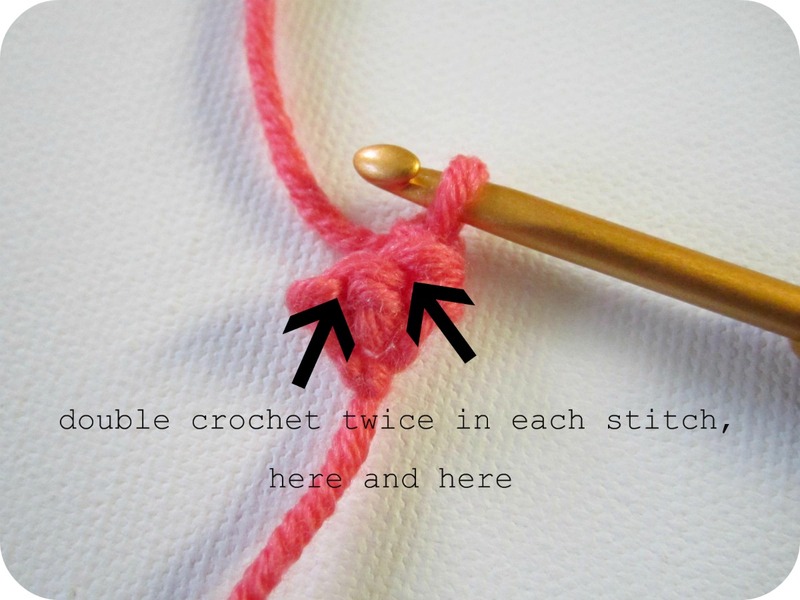 This is a very clear and helpful tutorial, well done and thank you so very much! Just finished bunting for my friends daughter. So easy and loved the simple bead addition. Thank you! 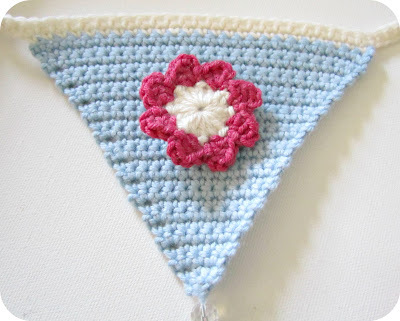 Just finished bunting using this pattern for my friends daughter. So easy and the simple evaded addition really finishes it off. Thank you.